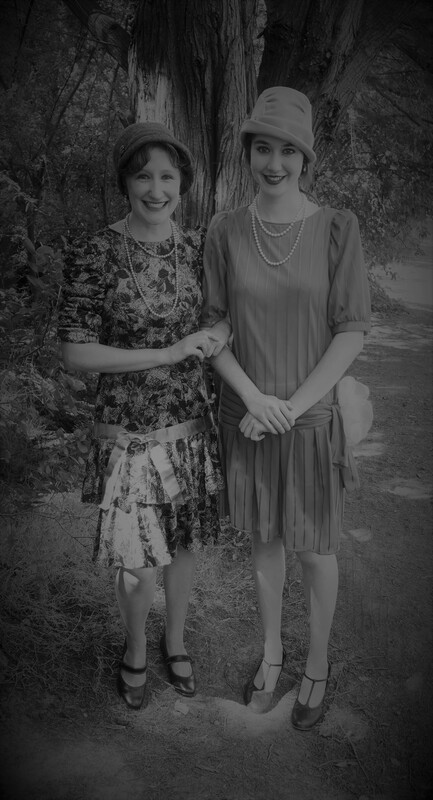 I used the think that 1920’s costumes were challenging to create. 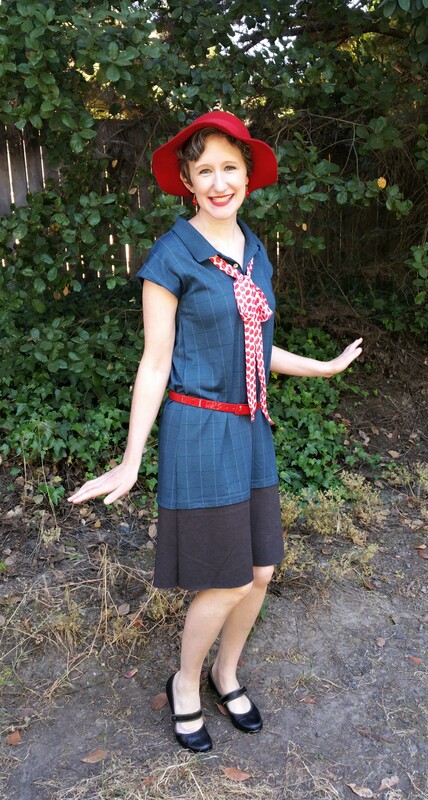 Over time, I have found that it’s very possible to turn thrift store garments into “mod” looks! 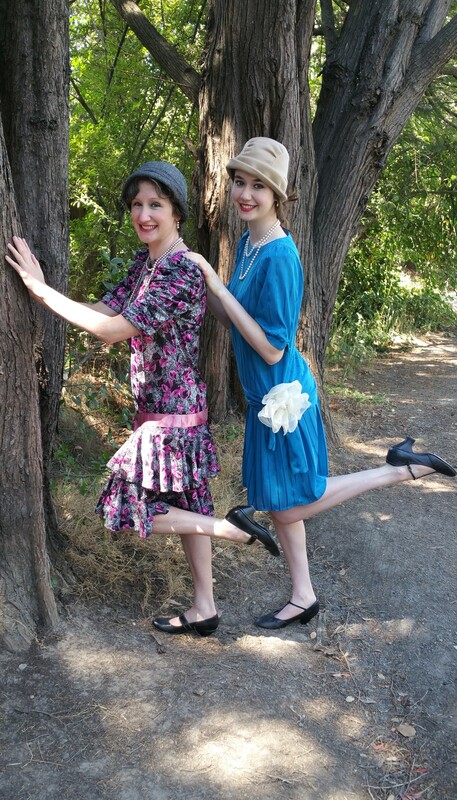 Today’s post features some of our favorite 1920’s outfits and a range of crafting commitment. 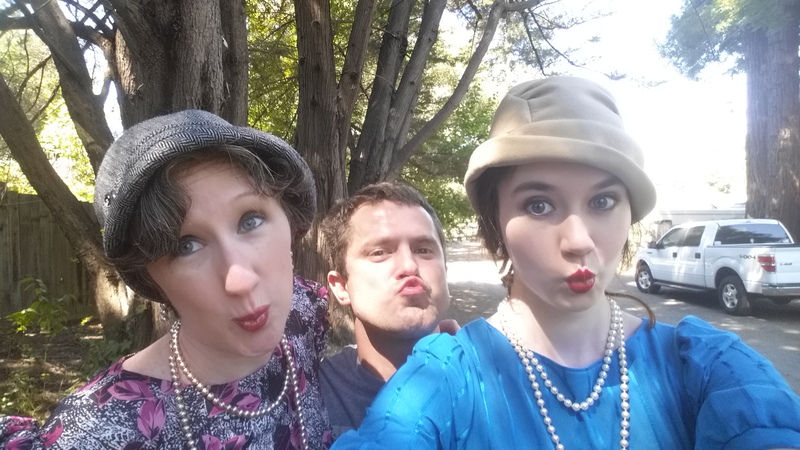 Bring on the flapper flair! 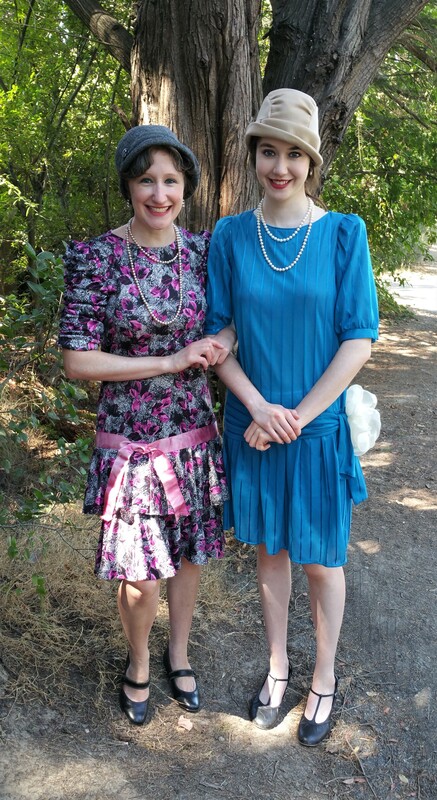 I was so excited about these first outfits, that Lindee was given no choice but to do a photo shoot with me! 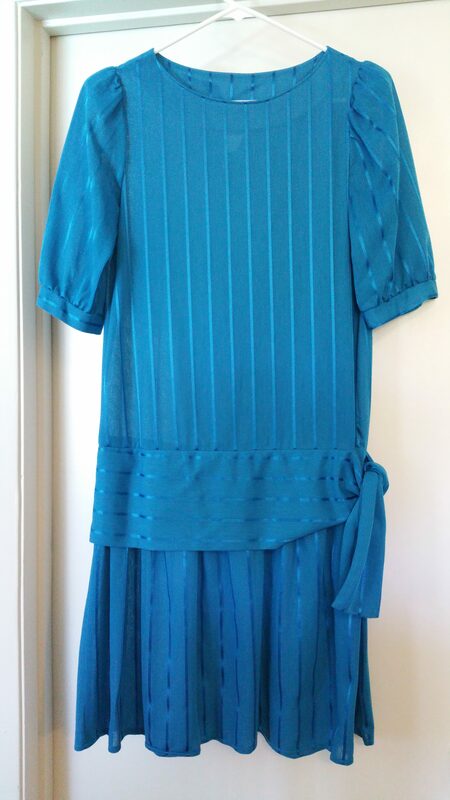 The drop-waist dresses from the 1980’s required next to no alteration, other than the mandatory removal of shoulder pads. 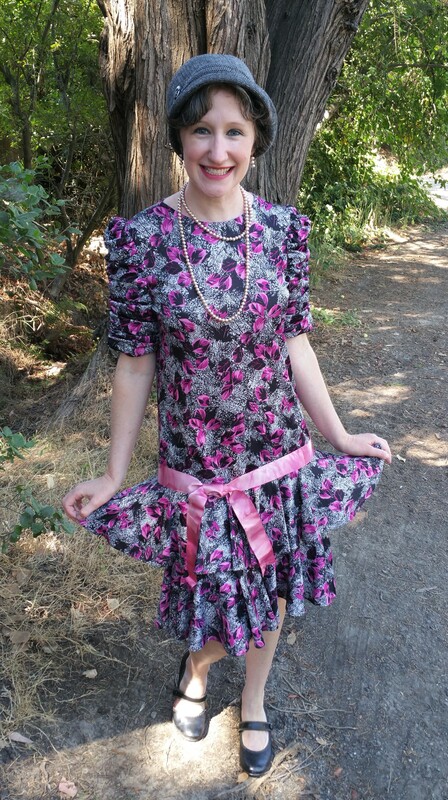 The addition of a sash and flower pin were totally optional. 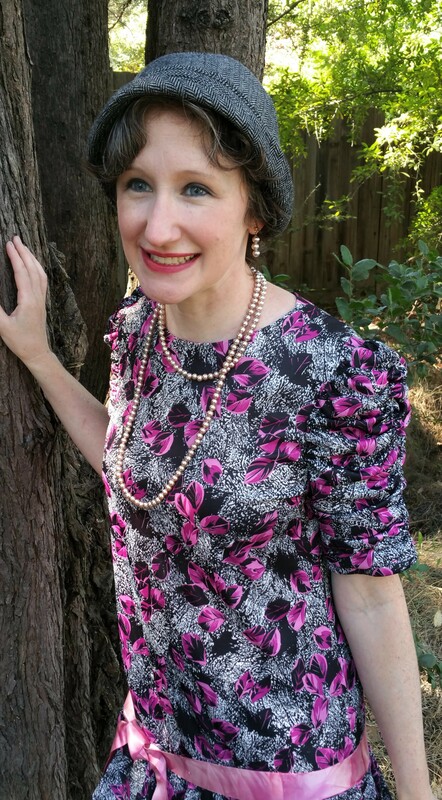 Less optional were the long necklaces (Lindee’s was actually two strands of pearls of different lengths), cloche hats, and vintagy shoes. You can find links to similar items at the bottom of this post! 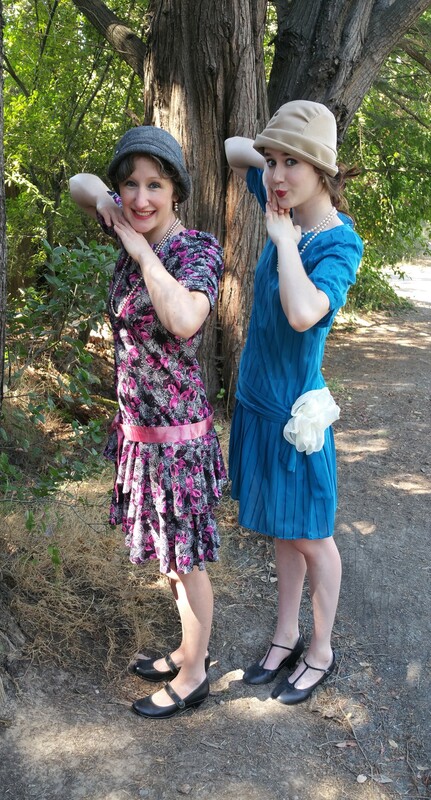 These dresses were surprisingly comfortable and fun to wear! Even our photographer got into the act! 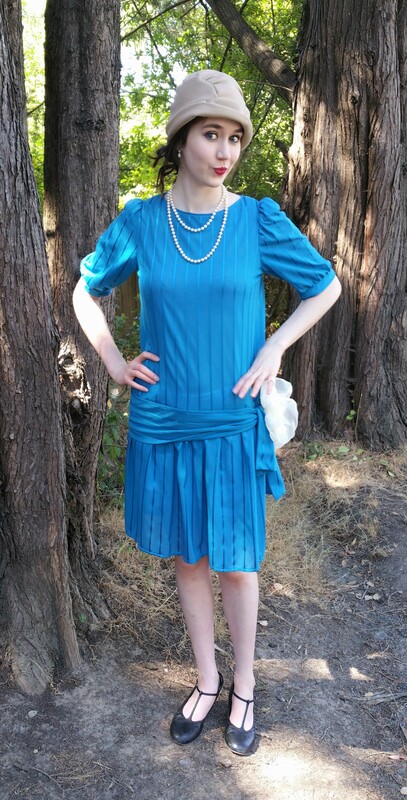 Of course, you may recognize the blue dress from our earlier post “Vintage a la Thrift Store: 1920’s“! 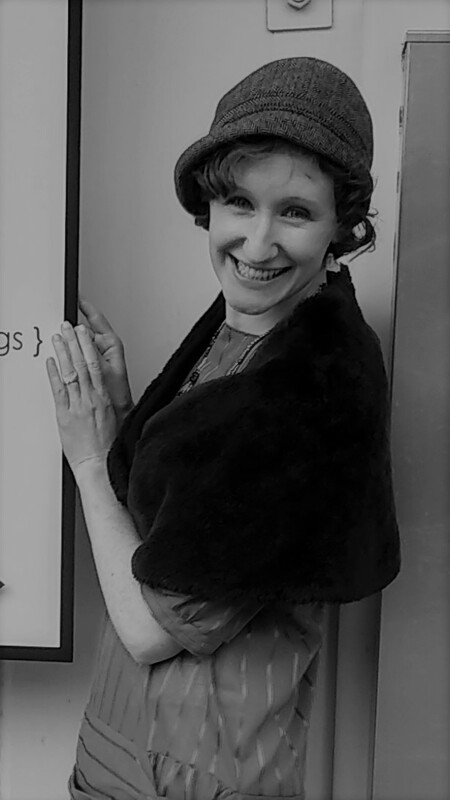 A faux fur wrap from the thrift store and some wooly tights added warmth on a cold day. 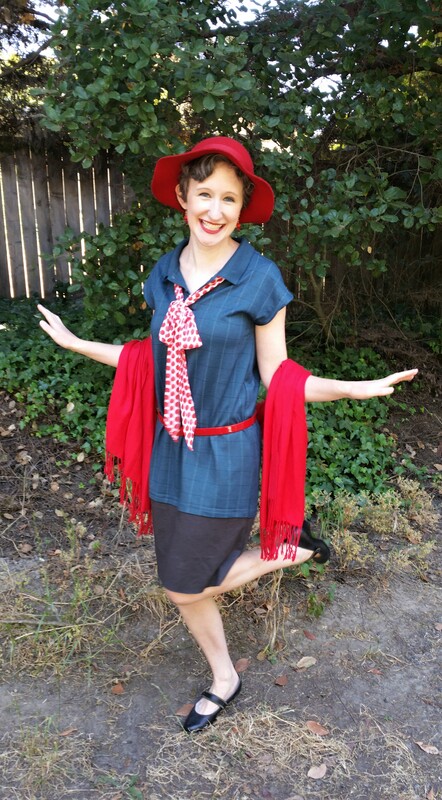 For a more formal evening look, check out Lindee’s transformation of a plain dress into fabulous flapper duds in our post “DIY 1920’s Costume“! Fabulous, Dahling, Fabulous! 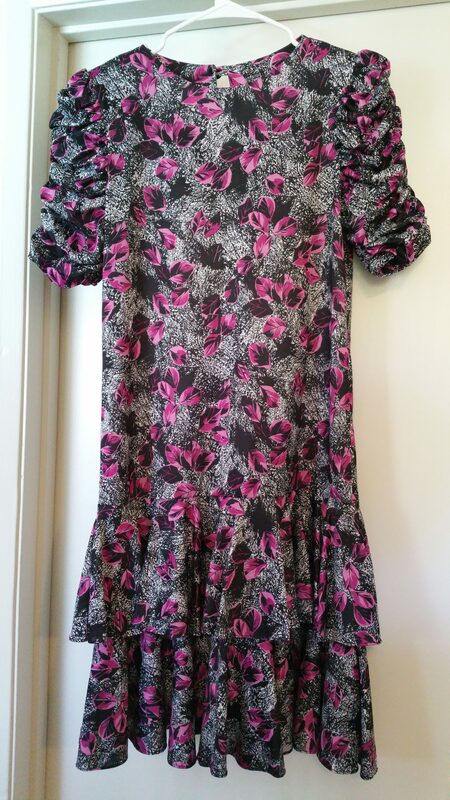 If you can’t find a drop-waist dress, you can make your own from an over-sized shirt and coordinating fabric! 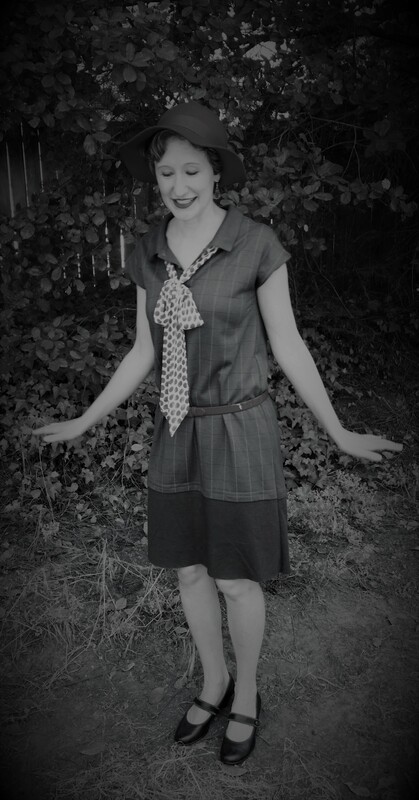 Our post “1920’s Dress from Polo Shirt” will show you the step-by-step process! 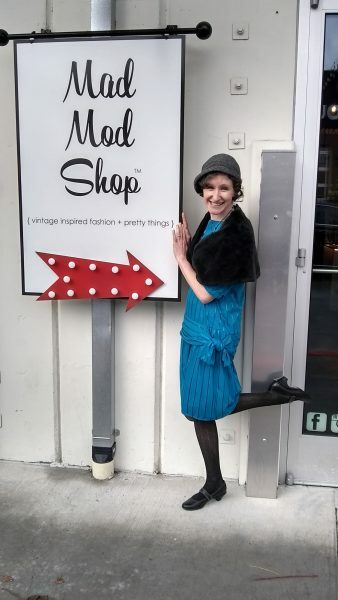 For these pictures, I channeled my inner “modern” and had *fun* with contrasting accessories and lipstick! 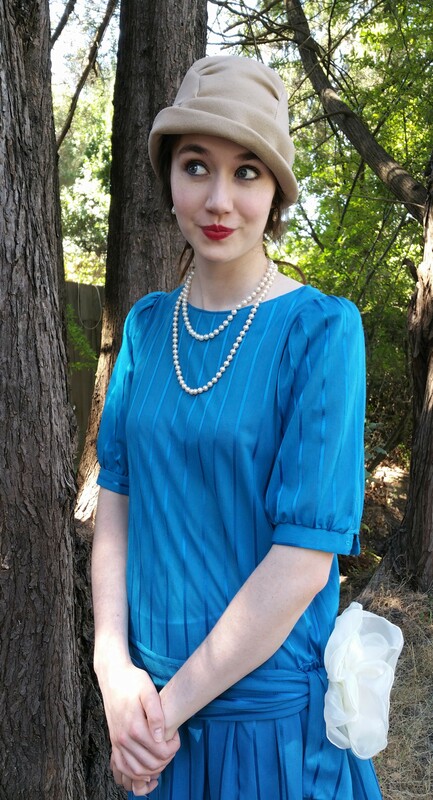 Here are some fun 1920’s-inspired accessories to get you started!